An article about Sakis Gouzonis&apos; eleventh studio album, Open Horizon, has been published on Kosmos Larissa. Kosmos Larissa is an e-newspaper based in Larisa, Greece. It publishes a wide range of news from Larisa, Thessaly, Greece. A big thank you goes out to all journalists of Kosmos Larissa, for publishing an article about Sakis Gouzonis&apos; eleventh studio album. An article about Sakis Gouzonis&apos; eleventh studio album, Open Horizon, has been published on Top40-Charts. Top40-Charts is a portal based in New York, USA. It is a music news portal serving the music industry since 2001. A big thank you goes out to all journalists of Top40-Charts for publishing an article about Sakis Gouzonis&apos; eleventh studio album. An article about Sakis Gouzonis&apos; eleventh studio album, Open Horizon, has been published on Music Press. Music Press is a portal based in Greece. It publishes music news from Greece and other countries. A big thank you goes out to all journalists of Music Press for publishing an article about Sakis Gouzonis&apos; eleventh studio album. An article about Sakis Gouzonis&apos; eleventh studio album, Open Horizon, has been published on Larissa Net. Larissa Net is a portal based in Larisa, Greece. It publishes a wide range of news from Thessaly, Greece. A big thank you goes out to Christos Behlivanos, manager of Larissa Net, as well as to all journalists of Larissa Net, for publishing an article about Sakis Gouzonis&apos; eleventh studio album. An article about Sakis Gouzonis&apos; eleventh studio album, Open Horizon, has been published on Mi2N (Music Industry News Network). Mi2N is a news network based in Astoria, New York, USA. It is a large online daily newswire serving the music industry worldwide on the latest developments, including music releases, artist news, music events, technology, radio and video news. A big thank you goes out to all journalists of Mi2N for publishing an article about Sakis Gouzonis&apos; eleventh studio album. Sakis Gouzonis has just released his 11th studio album, Open Horizon. Open Horizon, which contains ten beautiful instrumental electronic music tracks, is available in MP3 format. You can listen to and download Open Horizon for free. In the course of ten years in the international music scene, Sakis Gouzonis released ten studio albums. On 8 August 2008, Sakis Gouzonis released his 1st studio album, First Contact. On 9 September 2009, Sakis Gouzonis released his 2nd studio album, New Earth. On 10 October 2010, Sakis Gouzonis released his 3rd studio album, The Tree Of Life. On 11 November 2011, Sakis Gouzonis released his 4th studio album, Ultimate Love. On 12 December 2012, Sakis Gouzonis released his 5th studio album, Vast Victory. On 13 August 2013, Sakis Gouzonis released his 6th studio album, Spiritual Unity. On 14 July 2014, Sakis Gouzonis released his 7th studio album, Golden Heart. 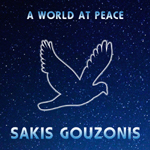 On 15 June 2015, Sakis Gouzonis released his 8th studio album, A World At Peace. 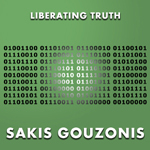 On 16 May 2016, Sakis Gouzonis released his 9th studio album, Liberating Truth. 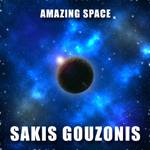 On 17 April 2017, Sakis Gouzonis released his 10th studio album, Amazing Space. A huge thank you goes out to all of Sakis Gouzonis&apos; international fans and friends, for their amazing love and invaluable support all these years. A special thank you goes out to all bloggers, journalists, music reviewers and writers for the press coverage over the last ten years, as well as to all venue owners, DJs and radio producers who have helped Sakis Gouzonis to reach more listeners. Stay tuned to www.SakisGouzonis.com. Sakis Gouzonis is currently working on his 11th studio album, which is set to be released on 18 August 2018. Ten years ago, Sakis Gouzonis launched his official website, www.SakisGouzonis.com! Since 1 August 2008, people from almost every country and territory on our planet have visited SakisGouzonis.com. As a result, numerous listens and downloads have taken place, and many encouraging e-mails have been delivered to Sakis Gouzonis&apos; inbox. A huge thank you goes out to all of Sakis Gouzonis&apos; international fans and friends for all of their amazing love and invaluable support all these years. Drooble Radio has just begun to webcast Sakis Gouzonis&apos; music. The three music tracks that have been added to the playlist of Drooble are From The Sky (from the album New Earth), Every Time We Talk (from the album Spiritual Unity), and All Is One And One Is All (from the album Amazing Space). Drooble Radio webcasts from Sofia, Bulgaria. It is a free online broadcasting service with thousands of listeners internationally. Its mission is to help musicians get their music heard. They believe power should be in the hands of those who create music and those who listen to it instead of mediators and music industry. A big thank you goes out to Melina Krumova, founder of the e-radio station, for adding Sakis Gouzonis&apos; music to the station&apos;s rotation. Sakis Gouzonis has just created his Drooble profile. They say that Drooble is a place that unites all artists worldwide and offers them an opportunity to promote their work. A place where music comes first. Let&apos;s see what will happen.